Investor – . : Italeaf Group – Innovation To Make The Change :. Italeaf identifies industrial initiatives within the cleantech sector and in innovative industrial productions, where the Company can utilise its strong expertise and track record. Italeaf does this by supplying early industrial initiatives with the infrastructure and direct investment needed to grow, and continually provide the company in question with services and industrial facilities needed until a full or partial exit is made. 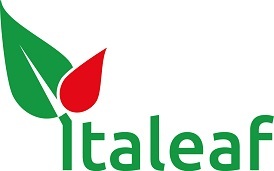 By supporting new start-ups Italeaf aims to replicate the success of its portfolio company TerniEnergia, a company established in 2005 and listed on the Italian Stock Exchange in 2008. Today TerniEnergia is a leading global company in the field of renewable energy, waste management and energy efficiency with a market cap of over EUR 80 million. Italeaf’s shares are listed on NASDAQ First North Stockholm (ITAL), and we create value for our shareholder through an attractive dividend policy and growth potential in an attractive market.